Arsenal legend Ian Wright claims Arsene Wenger has already dropped a hint that his 21-year old chapter as Gunners manager is “coming to the end”. Wenger’s contract will come to an end after this season and his future has been in serious doubt after the north Londoners fell a massive 12 points behind the Premier League leaders Chelsea having suffered a 3-1 humiliation at Stamford Bridge last Saturday. “I was with the boss last night and if I’m going to be totally honest I get the impression that that’s it,” Wright told BBC Radio Five Live. “I was with him for a few hours last night and we’re talking. He didn’t say to me ‘I’m leaving at the end of the season’ but I get the impression looking at him that that’s it. Wenger himself has claimed on several occasions that he will only make a final decision on his future at the end of the season and that where Arsenal finish this term will play a decisive factor. 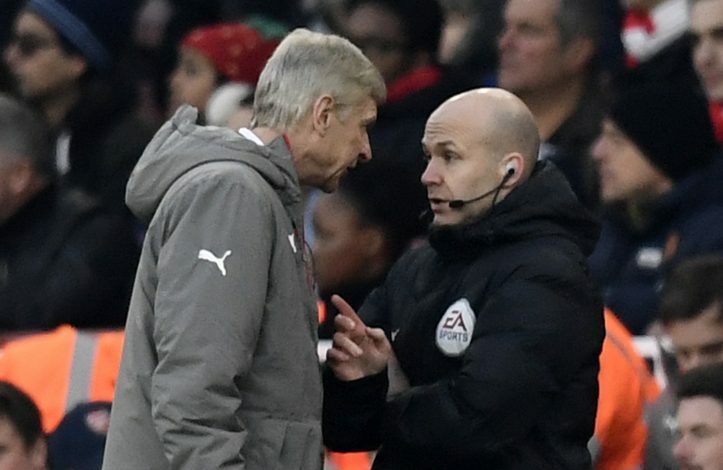 “I have nothing to add to what I said last week,” Wenger said curtly at his press conference on Thursday when asked if he had made a decision. But Wright, who played under Arsene Wenger between 1996 and 1998, suggested the 67-year-old looks like he’s had enough.